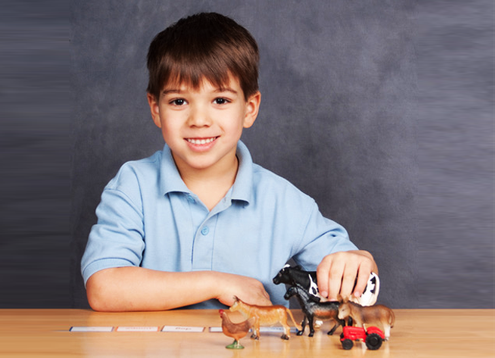 The toddler program is an introduction to the Montessori method of education. The program is carefully designed to provide an environment furnished with materials and activities scaled to the child’s size and abilities, with tactile apparatus for developing effective motor skills. Toddlers engage in a range of activities which are both fun and educational. MPM focuses on the child’s individual stage of development and readiness – our students benefit from small class sizes with a low teacher to student ratio. Structured outdoor play provides our toddlers with opportunities to develop tangible motor skills, social interaction, and be exposed to fresh air. Circle activities involving other students include themes, songs and movement giving students a valuable opportunity to develop socialization and speaking skills. In keeping with Montessori philosophy, all activities aim to assist the toddler in acquiring independence, fostering curiosity, and encouraging creativity. The casa curriculum is divided into five areas: practical life, sensorial, language, math and culture. 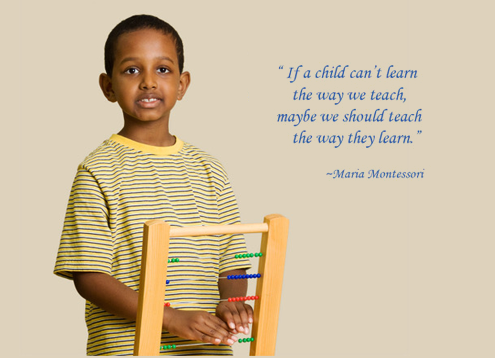 Casa students access each area of study during Montessori work periods. Lessons are given to the children individually or in small groups when they demonstrate readiness and interest. 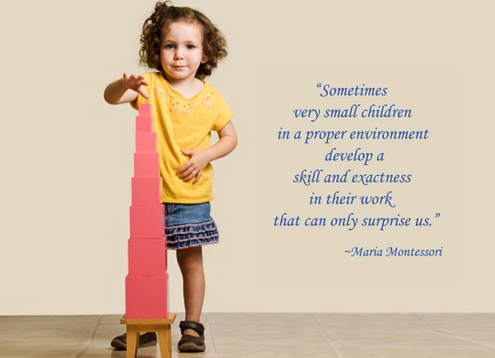 The success of Montessori education in all five areas of study for the young child is a result of an approach which begins with concrete experience then moves the child toward the abstract. 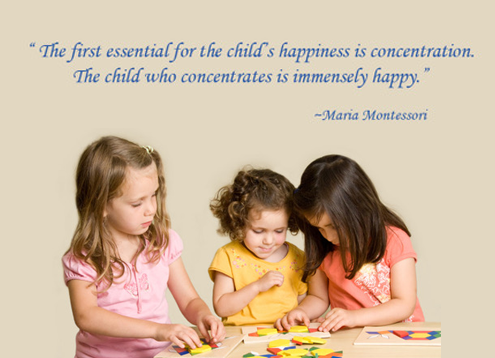 The Montessori materials cater to the young child’s natural inclination to touch and do. The purpose of the practical life curriculum is to assist the child in gaining coordination of movement, helping to acquire independence, and adapt to real world activity. Activities such as pouring, sweeping, cleaning and sorting are examples of practical life activities, which the child is free to choose during Montessori work periods. Children will be presented with lessons on each activity when they demonstrate an interest and readiness. Practical life activities contribute to their growth, intellect and concentration, thereby helping him/her to develop an orderly way of thinking. The purpose of sensorial work is for the child to develop clear, conscious information which can then be used to make classifications in their environment using specialized Montessori sensorial apparatus. Activities are designed to provide the casa child with opportunities to explore his/her environment through the senses. Sensorial exercises cover the wide range of qualities that can be perceived by the senses; soft, hard, cold, hot, large, small, wide, narrow, rough, smooth etc. The purpose of focusing on language in the Montessori classroom is to develop the child’s acquired verbal skills and explore written forms of language. This sensitive period for language in the casa stage permits the child to fully articulate thoughts, express their self in writing, read with ease, and have a full comprehension of the thoughts of others. Using the Montessori materials, the Casa child will be exposed to recognition of sounds, development of words, formation of sentences, concepts of rhyme, spelling, reading, parts of speech and more. The degree at which the child progresses is only limited by their individual readiness and interest. Mathematics is the product of the human intellect. Young children are attracted to numbers which are all around them. The Montessori mathematics curriculum explores concepts such as pattern, sequence, order, quantity and symbolism through the use of Montessori materials. When ready, the casa child will be exposed to the mathematical functions of addition, multiplication, subtraction and division. As each concept is grasped from a concrete level, the child transitions to the abstract. 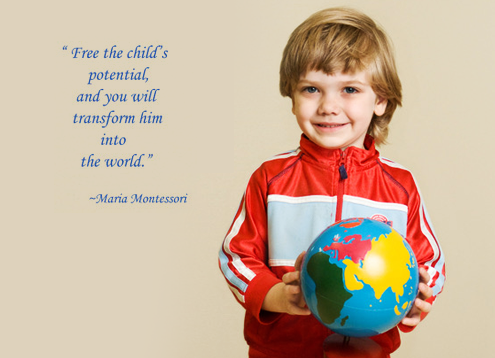 The cultural aspect of the Montessori casa curriculum includes science, geography, history, art, music and movement. The study of cultural subjects provides the child with the opportunity to explore their place in society, understand similarities between their own culture and others, thereby developing tolerance and respect for differences. Learning these concepts contributes to development of the intellect and increases curiosity about the world around them.